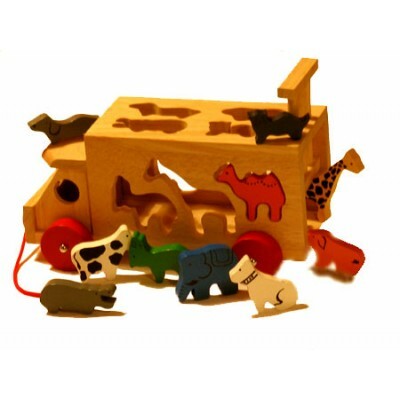 A beautifully crafted wooden truck with eight animals. The animals can be slotted through their respective shapes in the lorry, taken for a walk and let out again via the rising `gate` at the rear of the truck. A fun wooden toy for toddlers and young children that helps a child develop shape sorting and matching skills, hand to eye coordination and motor skills, whilst also fuelling your child`s imagination.